In Vermont, you need to apply for a driver's license through the Department of Motor Vehicles (DMV). Depending on your situation, the application process will vary. If it's a commercial driver's license (CDL) you're after, visit our Applying for a New CDL in Vermont page. If you're a teenager, you will need to complete the Vermont graduated driver's licensing program before you will be eligible for your driver's license. If you recently moved to, or are planning to move to Vermont, you'll need to obtain a VT driver's license within 60 days of establishing residency OR before your out-of-state license expires—whichever occurs first. A full list of accepted documents can be found on the VT DMV website. A completed Enhanced License/ID Application (Form VL-021), U.S. citizens only, if you want an enhanced driver's license (EDL). See “Types of Driver's Licenses" below. Payment for the required fees (see “Fees for a Driver's License in VT" below). If you have a valid out-of-state driver's license or one that has been expired for 1 year or less, you must also pass an eye test and possibly the written knowledge test, but you won't need to pass the road test. Contact the VT DMV for more information. You'll be expected to surrender your out-of-state driver's license when you apply for a driver's license in Vermont. If you don't have your out-of-state driver's license with you or it has been expired for more than 1 year, you will be required to pass vision, written, and driving tests. If you're a non-U.S. citizen and at least 18 years old, you can drive in Vermont using your foreign driver's license for up to 1 year. After this time, you must apply for a VT driver's license (see “ Apply for a Vermont Driver's License") below. Excluding vehicles registered in Mexico and Canada, cars from certain countries must also display an International Distinguishing Sign. For more information about which countries are subject to this statute, and other steps you must take to legally operate an international vehicle in Vermont, visit the Department of Motor Vehicles (DMV) website. Learner's permit: See our Driver's Permits page. Junior driver's license: See our Applying for a New License (Teen Drivers) page. Commercial driver's license (CDL): See our Applying for New CDL page. Driver's license and enhanced driver's license (EDL): Continue reading this page. An enhanced driver's license (EDL) has been enforced as part of the REAL ID Act to prevent any security threats and/or unlawful entry into the U.S. It also has advanced features to combat tampering or counterfeiting so you can breathe easier if happen to lose it. The REAL ID Act allows you to use your Vermont EDL in place of a passport when crossing the border from Canada, Mexico, the Caribbean, or Bermuda (by land or sea only). To apply for a driver's license in Vermont, you must visit a VT DMV office in person. You cannot apply by mail or online. Vermont residency (2 documents required). 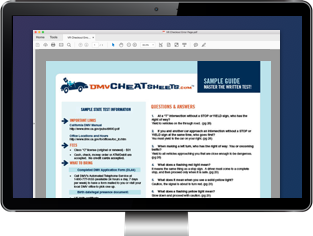 Visit the VT DMV website for a complete list of accepted documents. Submit a completed Enhanced License/ID Application (Form VL-021)—U.S. citizens only—if you want an EDL. Pay the appropriate fees (see “Fees for a Driver's License in VT" below). To help you prepare for the written exam, the DMV offers an interactive tutorial which seems very handy. However, if you want to ensure passing the exam on your first attempt, we suggest using an online practice test from our approved partner. You'll find more information below. The Vermont DMV will send your driver's license or EDL to you within 2 weeks. $51 for 4 years (you may pay additional exam fees). $32 for 2 years (you may pay additional exam fees). Enhanced driver's license (EDL): Additional $30 on top of standard driver's license fees. Road or eye exam: $19.